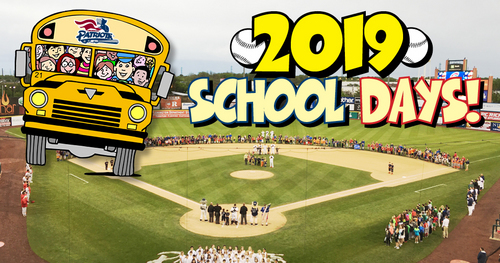 School Field Trip Days are designed for classes to come out and enjoy America's favorite pastime together at TD Bank Ballpark. Game times are at 11:05 AM. The Somerset Patriots offer many educational activities for participating schools, incorporating STEM education throughout the game. CLICK HERE TO VIEW OUR STEM CURRICULUM FOR THE CLASSROOM! We can also make special arrangements for educational needs upon request ranging from guest speakers for classes or tours of the ballpark. The Somerset Patriots also offer a discounted meal plan for all schools that includes the option for hot dogs or pizza and can be ordered in advance of the game.